Maybe it’s my German heritage, but for whatever reason, I have always loved pretzels. Hot, cold, hard, soft, plain or with dip – in whatever way, shape, or form, I delight in the simple combination of bread and salt. 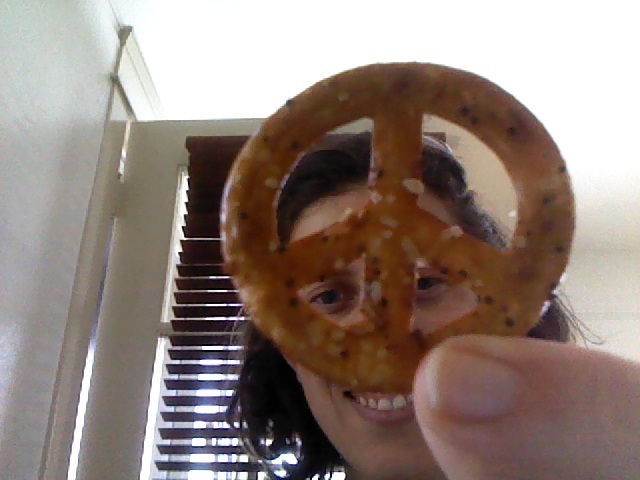 So when I saw these peace sign-shaped pretzels, I could not resist!